The second part of the Manifesto is what I will devote this chapter to. It summarizes the 11 Demands of the People and then organizes them into 7 basic human rights in such a way that they can be legislated into existence. How do we accomplish this? One way would be for a large group of people to go to Washington and demonstrate our disapproval by surrounding Congress outside the main Congressional building where the House of Representatives and the US Senate preside, and continuing to surround it while demanding that the Eight Fundamental Rights Of Mankind be passed into law in the form of a US Constitutional amendment. Nobody leaves until our demands are met. Our demonstrations will be peaceful, and weapons will be prohibited. I have lots of other ideas about how to go about changing the system, but for now let us take a chapter from this book to explain and analyze these basic human rights, how they apply to us middle Americans, and why these basic human rights are what this new Civil Rights movement represents. The basic rights of all workers can be broken down into six parts; fair minimum wage, right to unemployment protection, right to free vocational re-training for life, right to choice of career path regardless of economic status, right to organize, right to a flexible work week, and right to family and maternity leave. The first thing on the list is also the highest priority, that of a fair and realistic minimum wage. As I write this the current minimum wage is only about $7.50 per hour. That’s a gross pay of $300.00 for a 40-hour work week, about $210.00 after all applicable taxes for a single person. Now, let us ask ourselves one basic question: could I live on $840.00 per month? Of course you can’t! But the need to raise the federal minimum wage to $14.00 per hour is only part of the solution because it is only part of the problem. The real problem that I see here is a moral issue that is disguised as an economic issue. The cost of living is so high today in the early 21st century that the true minimum wage should be close to $35,000.00 annually before taxes. That is what it costs a family of four to live week-to-week in 2018 dollars. If the US business community and/or Congress refuse to agree to any such thing, and it’s a sure bet that they will, then let there be protests and worker walkouts all across the country. We could even haggle down from the $14.00 level to, say, $12.00. The important thing will be to keep them talking to us. Sooner or later we will get the large increases we urgently need, even if it means shutting down the whole country for a day or more, or even a week. But what about the times when the cost of living overwhelms us and a real financial emergency sets in, such as an unexpected car repair or a medical emergency? This brings me to the point that I wish to make, and it is this. In today’s world, if the net take-home pay of any given individual does not meet, or just barely meets, that same individuals daily cost of living, then that is tantamount to economic slavery. Let me say that again because this point simply cannot be overemphasized. If your take-home pay won’t even take you home, you are a slave. Oh, you are free to move around and to come and go as you choose, that is true. But if after you stop at the grocery store, pay the light bill (assuming you are fortunate enough to be able to do that), put gas in your tank (assuming you are lucky enough to still own a car) and set some money aside for next month’s rent or mortgage, then you peek into your wallet and realize that you have $7.00 left for the whole stinkin’ week, that’s when you know you are a slave. What happens to the people whose incomes are at or below minimum wage? They go hungry and are often homeless. And this is happening in the United States of America, supposedly the greatest country in the world, while millions of its people live in abject poverty. How much longer do we wait before taking matters into our own hands? After all, it’s the only way we are going to accomplish our goals. The second right under worker’s rights is the right to better unemployment insurance, and to also allow independent contractors to draw unemployment provided certain conditions are met. Any worker who has lost his or her job through no fault of their own will be entitled to up to 52 weeks of unemployment compensation instead of the current maximum of 26 weeks of non-emergency benefits. Once the benefits have been exhausted, if the job seeker is unable to find full time work, they will have two options. The first will be to enlist in free vocational re-education, which will be offered for the lifetime of that worker or until retirement (more on that further below, so please stick with me). The second option will be to enlist as a worker in new public works projects, which will be described later in this chapter. Under this new 21st century plan, we can and will wipe out unemployment and poverty forever. The third human right listed is the right to free vocational retraining for life. Anybody can go back to school and get retrained at will, up to and including a 2 year degree, and under this new system it will all be free of charge. We will be able to pay for it with the new tax code that I will describe to you later in this chapter. Students in the program who have children will, upon qualification, be given taxpayer-funded day care free of charge so they can get their education without having to worry about their kids. Much is being made right now about the fact that higher education is becoming more financially out of reach for an increasingly large percentage of the US population. Offering free taxpayer-funded reeducation will take down this barrier, and can be thus used as a tool for peaceful and orderly wealth redistribution. The fourth human right under worker’s rights that I have written about is the choice of career path without economic qualification. This is basically a continuation and clarification of the above right to vocational retraining. It adds a civilian draft which is designed to eliminate unemployment and homelessness. Every able-bodied homeless person, newly released prisoners, and the long-term unemployed will be put to work in a public works program that I will explain in detail later in this chapter. The next right I mentioned is simply the right for workers to organize. It will include a provision making it illegal for states to outlaw labor unions and it prohibits companies and corporations from preventing unionization. American workers will get worse working conditions, not better, if they do not organize. They also won’t stand a chance of getting pay raises, better benefits and investment opportunities because company management isn’t about to give away any of this voluntarily. The workers are going to have to collectively go to management and make their needs known. The fifth human right that I mentioned is the right to a fair workweek. All workers who work more than 40 hours in a week, and all salaried managers who work more than 50 hours per week, will be entitled to compensation at time and a half. All companies with more than 100 employees will be required to offer either a four day workweek with a ten hour workday, or a five day workweek with an eight hour workday to all its workers. Workers who are paid biweekly will be paid overtime for all hours worked in a 40-hour week. It will be illegal to require such workers to work 80 hours over Less than two weeks before paying them overtime. The right to family leave, which will include maternity leave for women, is the final right for all workers and independent contractors. It will be illegal for any company to fire any worker for taking maternity leave or family leave. Any worker who loses their job due to family or maternity leave will be required to be compensated by that employer with a minimum of 30 days pay to a maximum of one year’s salary pending arbitration…..
“The Middle and Working Class Manifesto” by Rev. Paul J. Bern. The march of economic inequality, from which springs the source of racism, poverty, crime, violence, and lack of access to healthcare and higher education, has become the new civil rights issue of the 21st century. (I like to call it Rev. Dr. MLK, Jr. 2.0.) King’s dream of unconditional equality throughout the country can finish becoming a reality when the economic barriers that we all face on a daily basis finally come down for good, like an economic Berlin Wall circa 1989. Rev. Dr. Martin Luther King, Jr. spoke to the masses during the 1963 civil rights march on Washington and said, “I have a dream…”. By writing and publishing these words it is my intent to help take up where King’s Dream left off, and to do anything I can to help finish the job that he started. And so let me slightly change that to, “I dare to dream”. I dare to dream of a world in which the gap between rich and poor is gone forever. We all deserve to live in a world where wealth has been redistributed in a peaceful and orderly manner and not by the barrel of a gun. I dare to dream of a country where wealth has been redistributed in 4 ways. First, every worker earns a living wage so poverty can be eliminated. Second, free higher education and vocational retraining must be available to every worker for life, including daycare available to all, that would be based on the worker’s or student’s ability to pay on a sliding scale, because everyone has the right to better themselves at will. Third, I envision an America where quality health care is available to every worker at nominal cost for life. Single-payer healthcare based on the current Medicare model must not be reserved only for those who can afford it, but it must be a fundamental human right for all ages. I dare to dream of an America where there will be no such thing as someone without health insurance, where every citizen will have lifetime healthcare and prescription drug coverage without qualification, and where there will be the fewest sick days for American workers and their children of any country in the developed world. Fourth, “we the people” demand the abolition of the federal tax code, including elimination of the despised federal withholding tax, which would give every American worker or business owner an immediate 18% pay raise. I dare to dream of a new America with a robust and viable economy. That is why I have been insisting on a $14.00 per hour minimum wage since 2010. I dare to dream of a new America where education will be subsidized from the cradle to the grave so that the US develops the most formidable work force the world has ever seen. I dare to dream of an America where all workers have the right to organize, to a flexible work week and to paid family or maternity leave. Most other developed countries already do this. The US is the only exception and that has got to change. The only remaining question in my mind is whether we can accomplish this peacefully or otherwise, and it looks more and more to me like it will be the latter. I dare to dream of an America where affordable housing is the law of the land, where home ownership becomes a right and not a privilege so we can wipe out homelessness, and where the price of a house is limited to the sum total of ten years income of any given individual or household purchasers. I insist on a country where home ownership isn’t part of an exclusive club with the highest “credit scores”. It is, and must become, a basic human right. Even the cave men lived in caves of their own! I dare to dream of a country with new public works programs that put an end to unemployment forever so the USA can have full employment all the time. America’s infrastructure needs to be rebuilt, and its inner cities are in dire need of an overhaul. What a better way to accomplish this! I dare to dream of a new America with an all-new public school and university system that has an Internet-based curriculum that can be updated at will, and that is second to none in the developed world, with a new and more intensive school year, and that has viable replacements for standardized testing, and where class size is limited by law. I dare to dream of a country where teachers make what their Congressional representatives make, and vice verse. I dare to dream of a new nation where unconditional equality is the law of the land for every citizen without exception, and this will include economic equality. I dare to dream of a new America where there is no more income tax, no capital gains tax, no alternative minimum tax, no estate tax, no self-employment tax, and where families and businesses can have a tax free income unless they are very wealthy. In its place would be a national sales tax, such as a Consumption Tax, where everyone pays proportionately the same tax rate on only what they consume, plus an “excess wealth tax” for persons with annual incomes exceeding $3 million, and for businesses with annual proceeds exceeding $300 million, so America’s budget can be balanced and fair. I dare to dream of a better USA where personal privacy is the law of the land, where identity theft is a thing of the past, and where it will be illegal for employers to obtain the credit files or credit scores of any job applicant. I dare to dream of a more compassionate America where children have the right to a challenging and progressive learning environment, and where kids will be legally guaranteed freedom from hunger, sickness and violence, and where all God’s children will have the right to safe adoption, foster care and day care. I dare to dream of an all-new voting system, including the abolition of the elitist Electoral College, that is Internet-based, paperless, and that can be accessed from any location using any computer or wireless device, instead of wasting our time and fuel and losing work time going to polling stations, and instead of using unreliable and unsecured voting machines. 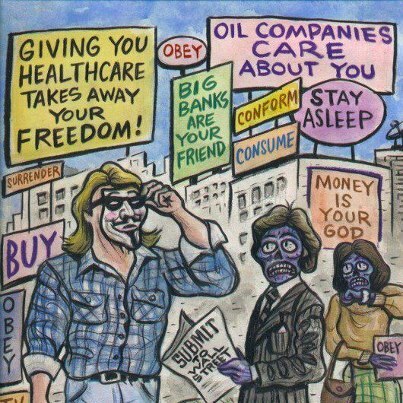 I dare to dream of an America of integrity where all of the dirty corporate money and all the filthy lucre is abolished from our political process. I dare to dream of an America where the Wall Street shysters who crashed the US economy are brought to justice, and where the keys to all of the fraudulently foreclosed homes are returned to their rightful owners. I dare to dream of the end to America’s sinister war on drugs, where all convicted nonviolent drug offenders can qualify for alternative sentences for their offenses so they may obtain early release, and where all the currently illegal drugs are legalized, regulated and taxed by appropriate legislation. Finally, I dare to dream of a world in which all this is easily financially achievable because all the money that is being wasted currently on the wars in Iraq, Afghanistan, Yemen, and to a lesser extent in Pakistan, Libya and elsewhere will be redirected towards all these dreams that I have just mentioned. The money is already there, its just being budgeted in all the wrong places. Let me tell you why. If the US military took all the money it spends occupying Afghanistan for just one day and put it into an interest-bearing account, there would be enough money available to send every American school kid from the first grade up to senior year in high school through 4 years of college fully paid for, including tuition, dorms, books, food, access to the Internet and to public transportation. Here’s another example: If the US government took all that money set aside from one days worth of military expenditures in Afghanistan alone, there would be enough money to build a 2,500 square feet house, fully furnished and stocked with groceries, with all the utilities already turned on, for every homeless person in the US including all the homeless kids. That’s how easily we can end homelessness in the richest country in the world. Just as surely as there was an Arab Spring beginning in 2011 that is still ongoing in Egypt, Algeria, Tunisia and Somalia, to name a few, so I am telling you that there will be an American Spring in her near future. In fact, I’m surprised it hasn’t already begun. 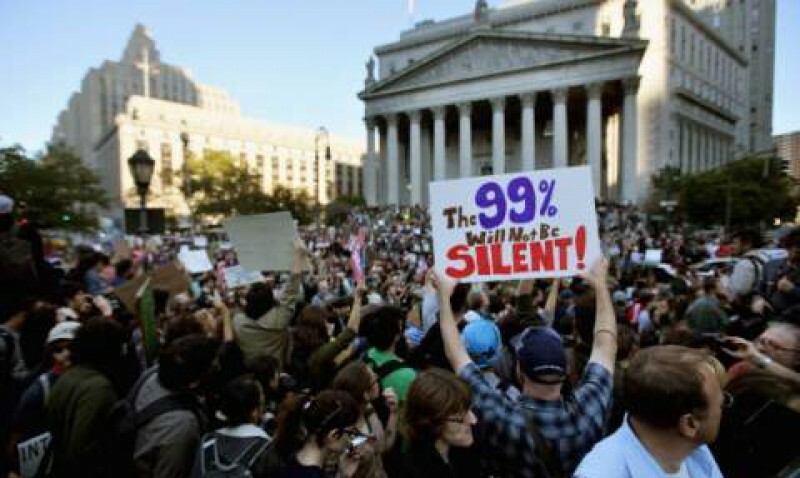 Beginning in 2011 with the start-up of the “Occupy” and “99%” Movements, of which I am proud to be a part, this uprising of the American people against the top 1% will explode like an atomic mushroom cloud over the American political and economic elite, obliterating them all in a bloodless coup without anyone having fired a single shot – so that the remaining 99% of us can peacefully take back what has been stolen from us over the last 100 years. We can only accomplish this by uniting together as one and acting as one body to break free from the shackles of oppression that have us all enslaved. Who is with me today? Watch the video at http://youtu.be/VZguRDJmCqc Thanks so much. Shalom! Remember when we were kids in school? We used to recite the pledge of allegiance to the flag every day. Among other things, the pledge calls us “one nation under God”. Judging from how things are going in Washington these days we have become anything but that. We are faced with endless wars overseas with no end in sight, and these wars on multiple fronts threaten to bankrupt the country. Meanwhile here at home, it is the American people who are already faced with bankruptcy and even homelessness due to long-term unemployment, while citizens everywhere continue to lose their houses to foreclosure under circumstances that are questionable at best. The rapidly growing population of homeless people is already in the process of turning into a human tidal wave of misery and hopelessness. Here in Atlanta where I live, the homeless population on any given day averages around 7,000 or so, of which half are children. This is a gross social injustice considering that it is happening in the richest country in the world. Even the cave men lived in caves tens of thousands of years ago. So it is accurate to say that they had it better than the homeless folks do today. It is a basic human right to have a roof over your head. Shelter is not a privilege, and throwing children out into the elements is nothing short of barbaric. And yet some have the nerve to call America a Christian nation! In the meantime, we have our nation’s leaders in Washington invoking the name of God as a justification for waging immoral and illegal wars all over the globe, with many being of the clandestine variety. Here at home, our nation’s lawmakers debate whether gay persons should serve openly in the military or not, and various individuals in our country’s leadership take a stand on whether they are pro-life or pro-choice. These side-issues are being debated while our country grapples with record deficits that threaten to swallow up what is left of the US economy, just as Nero fiddled while Rome burned. They pontificate about “family values” while the value of American real estate continues to stagnate, depriving millions of formerly middle class people of their chief source of wealth – their homes. They threaten to do away with the American social safety net at a time of record unemployment and rampant homelessness, just when it is needed the most. If these neo-conservatives succeed in taking away, or even reducing, the social safety net that millions are currently depending upon because they can’t find work (and often because they can’t even feed their kids), you can be sure there will be rioting in the streets similar to Ferguson, Mo., and let’s not forget the civil wars in Syria, Ukraine and elsewhere. These current events line up with much of what I have been saying on this web site since day one about what is wrong with the world in which we live, and what we should change to make it better. Anyone can be religious, but I choose to take it to the next level. I’m going to spend the rest of my life trying to make a real difference. Being a blend of liberal Christian, Teddy-Roosevelt-style Populist and political progressive (hence the name Progressive Christian), I particularly enjoy going after big government and main-stream denominations at all levels, taking them all to task not just for the way in which they are running things, but challenging their thinking and their values. For example, many Republicans in Washington keep talking about God and politics as if they are interchangeable. They like to make it look like they are on the side of God, as if God were a political conservative. And they like to make it seem like the Democrats and “liberals” are a party of loose morality, favoring abortion, gay marriage, and hanging around with terrorists. They are experts at crafting and delivering their message – good enough to inspire many middle-class folks to vote against their own financial interests in the 2010 mid-term elections. Their message works because it appeals to people’s base emotions, not their intellects. And reacting is so much easier than critical thinking, especially when we’re so emotionally drained from these years of unemployment, or working multiple part time jobs, or home foreclosures. They are so effective with their message that they don’t think twice before selling the idea that God wanted George W. Bush to attack Iraq, God favors the Tea Party, and God wants Sarah Palin to be President. Or maybe Mike Huckabee. They completely ignore the First Amendment’s separation of Church and State. The first amendment to the US Constitution begins by saying, “Congress shall make no law respecting an establishment of religion, or prohibiting the free exercise thereof…….” To me, this means anyone who wishes to engineer a merger of government and organized religion either knows nothing about the Constitution or they openly wish to break it. Either way, that means they would be committing treason if the neo-cons were to actually pull off such a thing as that. But if you set aside the hysteria and look at the facts, Jesus was part liberal and part socialist by today’s standards, and much of the New Testament condemns the attitude of the so-called religious right (which is neither as far as I am concerned). For example, Jesus condemned the greedy rich, saying, “It is easier for a camel to go through the eye of a needle than for a rich person to enter the kingdom of God.” [Matthew 19:24] He denounced the moneychangers in the temple at Jerusalem as He threw them out, saying, “My house will be called a house of prayer, but you have made it a den of robbers.” [Matthew 21:13] And Jesus stood up for the poor and underprivileged, saying, “Inasmuch as you have done it unto one of the least of these my brethren, you have done it unto me.” [Matthew 25:40] So then, how can the nation’s leadership, especially the conservative right-wingers, call themselves Christian – followers of Jesus Christ and He alone – as they hold the unemployed and retired pensioners hostage while fighting for tax cuts for millionaires and billionaires? They don’t care about us, and they don’t care if we know that or not. We the people, America’s middle and working classes, need not tolerate what amounts to being openly insulted. We can and should fight back! Who is with me today? Jesus acknowledged the need for both government and tax-supported government services, saying, “Render unto Caesar the things which are Caesar’s, and unto God that which is God’s.” [Matthew 22:21] So then how can the conservatives call themselves Christian as they rail against taxes and their definition of “big government”? Never mind the fact that it is the same bunch of people railing against big government who are voting in favor of the continued funding of the largest and most formidable military in world history. Last year the US government spent more money on military expenditures than all the rest of the world combined. Then again, there is the fact that the United States has more people in prison than all the rest of the world’s countries – again, combined. There is something very wrong with this picture, that’s for sure. When faced with these facts, I am forced to come to the conclusion that America isn’t the world’s greatest country anymore. It’s up to us, the American people, to turn this around. Jesus healed the sick – even lepers – for free. He didn’t ask them for an insurance card first, he just healed them because it was the right thing to do, but more importantly because that’s what he was called to do. Jesus was the original “socialized medicine” machine. So then, how can the Republicans call themselves Christian (that is, followers of Jesus Christ in Spirit and in truth) as they condemn the much less socialistic (and woefully insufficient) “Obamacare”? The truth of the matter is that much of the effectiveness of any government is directly proportional to how well it cares for its people. (By the way, it was Thomas Jefferson who first said that.) The United States is the last developed country in the world that does not have national health insurance for its citizens. Every other developed country – and many developing ones – has national health insurance except for us. As I said above about shelter being a basic human right, so it is with health care. Proper medical care is not a privilege available only to those who can afford to pay. Good quality health care is a basic human right that must be available to everyone without qualification, including preexisting conditions. The money to implement such a plan as this is already available with plenty to spare. All the government has to do is call off all the wars and occupations overseas and bring the troops home. Whatever money is left over can be used for a giant public works project to put all the long-term unemployed back to work, or to send them back to school to learn a trade. Is there sufficient money to accomplish and finance this worthy goal? Absolutely, and all without adding to the federal deficit. Here’s an example: If the US military set aside one day’s expenses for the twin occupations of Afghanistan and Iraq (Again! Wasn’t twice enough?) and put those funds in an interest-bearing account, there would be enough money to send every single American school kid to four years of college education – fully paid for. We’d get all that from just one days military expenditures! So don’t tell me we can’t afford quality education without qualification! Oh yes we can!! As he stood there on the Mount, Jesus said, “Blessed are the peacemakers, for they will be called sons of the living God.” [Matthew 5:9] Still, the conservatives call themselves Christian as they continue to call for endless war, be it legally and morally justified or not. At the same time, they expound on how pro-life or anti-abortion they are. So, let me get this straight. In order to be a good Christian, one must be pro-war and pro-life simultaneously? Sorry, Reverend, but you’re going have to explain that one to me. And then they try to justify torture. So I ask them, in the words of the popular button and bumper sticker: Who would Jesus torture? In the end, I see many conservatives paying much homage to the Bible while ignoring what is inside it. As for myself, I could not stand to live like that, being a Washington hypocrite. Let’s vote these right wing-nuts out of office this November and start all over again on a clean sheet of paper. It’s the only way we can peacefully force things in Washington to change. But if things don’t start changing, and soon, the unrest of Egypt, Syria and Greece will be arriving on American shores with a vengeance. If governing power cannot be returned to the American people peacefully, then things will deteriorate to the point where we will simply have to retake it by force.